Israel must develop a national strategy to promote artificial intelligence research and development or risk falling behind, the Israel Innovation Authority (IIA) said in its annual report, published Monday. According to the report, the biggest challenge the country's tech sector is facing is a shortage of experts in the domain of artificial intelligence. Artificial intelligence has been one of the leading growth sectors in Israeli tech in 2018, but the country is lagging behind global leaders, according to the report’s authors. Headed by Aharon Aharon, a former Apple executive, the IIA operates, among other functions, as the Israeli government’s innovation investment arm. 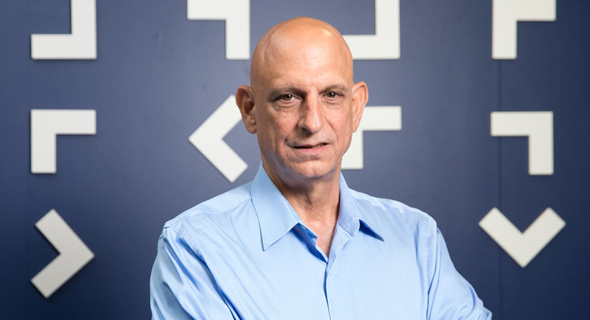 “In order for Israel to continue to lead in the global technological race, it is necessary to allocate resources and a national artificial intelligence strategy shared by the government, academia, and the industry,” Aharon said in a statement Monday. AI has been a top priority of the IIA for some time, Aharon said in an interview with Calcalist. Israel’s fight to sustain its local tech talent pool, and specifically its pool of AI experts, is not new. In 2017, Calcalist reported on the growing shortage of skilled AI specialists. Back in 2017, local tech entrepreneurs described having to fight a losing battle over talent with international giants such as Amazon, Intel, and Nvidia who were establishing or expanding their local AI research and development operations. To tackle the problem of the shortage in AI experts, the IIA pursued several initiatives in 2018, including a national coding boot camp program, which incentivizes the placement of women and underrepresented population in the high-tech industry. The IIA reported a 20% increase in the supply of tech graduates in 2018. IIA also initiated a pilot program to help Israeli tech workers living abroad back into the local tech sector. Dubbed Back to Tech, the program assisted some 100 Israelis expats find employment in the local tech sector in the past year, the IIA said. IIA also took part in promoting a new category of foreign experts work visa in the country, intended tech experts coming into Israeli companies.